Gossip headlines today are talking about diabetes as a factor in the death of Casey Johnson, daughter of the owner of the NY Jets and J&J heir. Some articles mention a history of substance abuse. Most articles feature a relationship with the famously stable Tila Tequila. (Maybe I got that famous for bit wrong.) Her reported tweets put the twit in twitter. Surprisingly one of the articles does a good job of differentiation between T1 and T2. How can a gossip bit get that and general 'journalism' can't? YDMV. A history of substance abuse not so much vary. Substance abuse is a downhill ride. Sadly a young woman’s life has been cut short. In her passing there will be an increase in the ‘awareness’ of the risk of living with type 1. Loosely translated that means we (and we very much includes our kids in school) will likely be hearing comments based on the headlines. This post is a heads up to take a second to compose your thoughts and be prepared for the comments. I see it as an opportunity to talk not about passing away from complications of hard living but to look to examples where diabetes is a contributing factor to living well. There is no such thing as a perfect diabetic but there are lots of examples of people who make diabetes and ability not a disability. The DOC is knee deep in them. Beyond that and maybe even instead, I encourage every parent to talk to your kids, not about diabetes but about a shared passion in life. Talk with your kids about what they love; acting, athletics, cooking, studies, reading, film, art, or in or case Top Gear. Delaney and I are counting the days until the new Top Gear season on BBC America. It something we do together, has nothing to do with diabetes and we love it. Quality time is where you find it. It is a contributing factor to a life well lived. 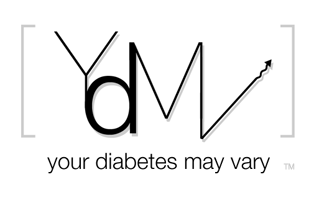 Sure, it differentiates the two, but still manages to mischaracterize Type 1. "Diabetics diagnosed early in childhood must be on special diets for their lifetime and usually take daily insulin injections. They need to monitor their blood glucose levels several hours a day. This particular type of diabetes is early onset and different from type 2 diabetes." I count at least five inaccuracies in those three sentences, though as you say, what can you expect from a gossip column? I guess you can see how low my media expectations are if simply stating there are two types and getting anything right about either counts as a win in my book. She didn't keep the greatest company, either, which combined with drug abuse could spell trouble. Ironically, her fiance Tila Tequila did not even notice her missing for 4 days, what gives there? One element I did NOT see in the tabloid media coverage was whether Casey was diabulemic (meaning she skipped insulin to loose weight or stay thin), but seeing recent photos of her suggests she was paper thin, which is a sign not of low blood glucose levels, but excessively high blood glucose levels for a prolonged period of time. It will be interesting to see what the family releases about cause of death. Studies estimate as many as 20% of female Type I diabetics become diabulilmic. If you are interested in more information, I recommend the following site: www.diabulimiahelphline.org. *Her reported tweets but the twit in twitter. Put would be better... thanks. BG on DS no BS II: The FDA Clearance. The Insulin Market - A Great Post By Scott S.